Experience the best scuba diving Thailand has to offer around Ko Lanta. It could be argued that Ko Lanta offers the most consistent and spectacular diving in Thailand. Ko Lanta’s first tourists were mainly scuba divers, attracted by Ko Lanta’s proximity to some of Thailand’s best diving. Several of the country’s best dive sites are only an hour away from Ko Lanta, making for an unforgettable day out. 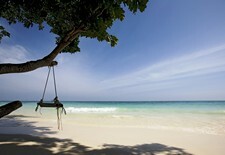 When compared to Ko Tao, Ko Lanta prices may seem expensive. This is because the dive sites are farther away and prices reflect the higher fuel costs it takes to get to dive sites. The Similan Islands, a day and night cruise from Ko Lanta, also offer great diving but doesn’t offer nearby island resort living like Ko Lanta. The absolute best time to dive around Ko Lanta is between November and April. However, some dive operators, such as Lanta Divers, have great diving days in May to October – contrary to what you may read on other dive or travel websites. Lanta Divers, Go Dive and KonTiki are all experienced, well-regarded operators (click the links to read reviews on TripAdvisor), and there are several other equally good operators on Ko Lanta. You can go diving on day trips – most dive trips leave Ko Lanta around 8 am and return between 4 pm and 6 pm depending on the dive sites visited. If you want to get maximum value and do as many dives as possible, a Ko Lanta liveaboard is the best solution – you can do a 2 day, 4 day or even 7 day trip where you stay on board the boat and are first to hit the dive sites before anyone else gets there in the morning. You also get to enjoy amazing sunsets while still at sea and enjoy being under the stars at night. A liveaboard is a great adventure if you enjoy diving. Plenty of people learn to dive on a liveaboard too – you don’t need any prior experience. View the Ko Lanta liveaboard website for more details of pricing and trip departures. Many dive sites offer good snorkeling, with friends and family welcome to join trips and snorkel at reduced rates. Speedboat diving is a good option for those wanting to get first to sites and back to beach life quicker. A four-day Open Water PADI dive course includes two or three days of real diving around Ko Lanta with instructors and you get an internationally accepted dive certificate. Courses are available in ten languages to learn diving on Ko Lanta. KoLanta.net recommends using dive companies located in the southwest end of Ko Lanta (Klong Nin/Kantiang Bay area) as their boats have more direct access to the dive sites, which often means there are less divers in the area. 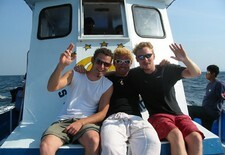 Most dive trips leave Ko Lanta around 8 am and return between 4 pm and 6 pm depending on sites visited. Many dive sites offer good snorkeling, with friends welcome to join trips and snorkel at reduced rates. Speedboat diving is a good option for those . Seasoned scuba divers on Ko Lanta always talk about the twin peaks of Hin Daeng and Hin Muang, rated in most of the world’s top-10 dive site rankings. 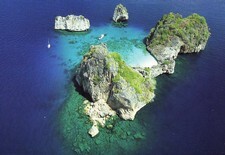 Other top Ko Lanta dive sites include Koh Haa, Koh Phi Phi, Koh Rok and the King Cruiser Wreck. There is wide range of great dive sites accessible from Ko Lanta, but many divers come especially for Hin Daeng and Hin Muang. 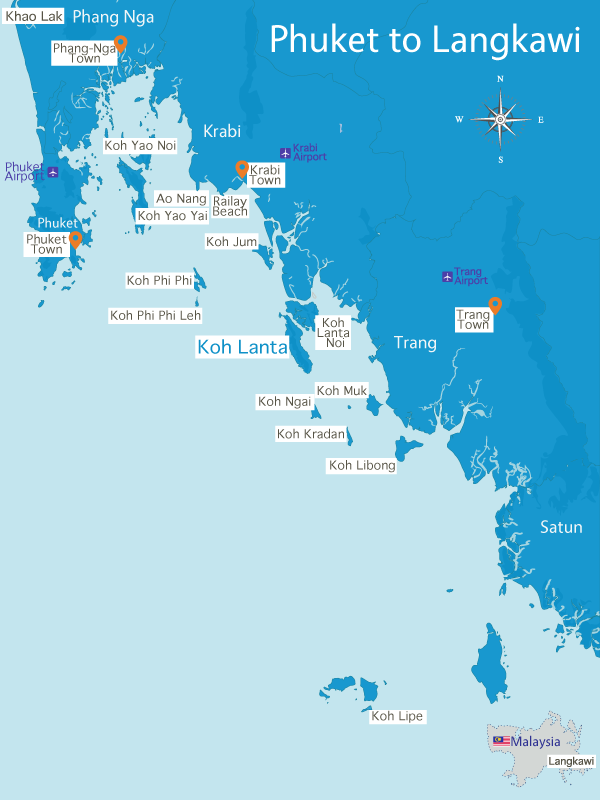 Many local divers consider Koh Ha (five islands) as good a site if not better, and there are other world-class dives with special attractions to choose from. Hin Daeng (Red Rock) is a familiar name for anyone interested in Asian diving. 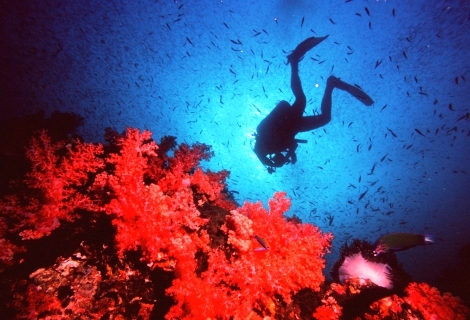 It is often rated Thailand’s best dive site, and features several different drop offs connected by rock shelves at many levels. The coral and marine life are outstanding here. Most dive guides list Hin Daeng as a sure place to see whale shark and manta ray. There are no sure things but with a bit of luck you’ll have a special diving story to take home. Just 500 meters from Hin Daeng lays sister site Hin Muang (purple rock). This might not be the first dive after your Open Water Certification, but with a bit more experience this dive is a must. 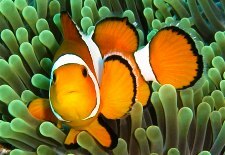 The reef has five “legs”, the shallowest at 8 meters and the deepest at 70 meters, one of the deepest sites in Thailand. Ko Ha: Ko means island and Ha means five in Thai. These five small islands are an hour by boat from Ko Lanta. 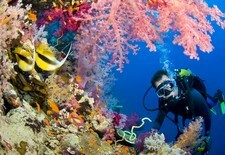 The islands are a favorite spot as diving conditions are almost always good. Depths range from 18 to 34 meters, with an abundance of marine life and a beautiful cave with two entrances, one at 5 meters and one at 16 meters. Inside the cave there is a” cathedral” rising 30 above sea level inside the mountain. Ko Bida Nok: There are three Ko Bida sites that are famous for their amazing leopard sharks, whale sharks and manta rays. Diving in this area ranges from 19 to 30 meters deep. Expect beautiful diving with gorgonians, soft coral and large schools of Moorish idols, well camouflaged scorpion fish and many types of lion fish. Hin Bida – Shark Point: Hin Bida is almost next to Bida Nok and often included in two-dive trips. Average depths range from 12 to the maximum depth of 18 meters with Leopard sharks. King Cruiser Wreck: This large car ferry sank in 1997 after ferrying passengers from Phuket to Phi Phi Island for many years. On its very last day of service, the captain made a ”false maneuver” and the ferry ran onto the Anemone Reef. King Cruiser sank to the bottom and is now neatly parked 20 to 30 meters below the surface. Ko Kradan Wreck: This site lays South of Ko Lanta away from most other sites and is most often combined with a second dive at Ko Muk. The wreck of a 70 meter long Japanese destroyer sank during an air raid in 1944 and lies about 25 meters below the surface. With more than 50 islands in the Ko Lanta islands, there is a fantastic variety of offshore snorkel sites and small islands with pristine beaches, amazing caves and much more to discover. We’ve listed a few of the highlights that are easiest to visit. Ko Rok: The amazing coral reef of Ko Rok with its rainbow-colored coral and spectacular marine life is one of the best snorkel experiences anywhere. 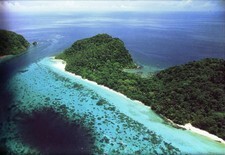 Ko Rok comprises two beautiful tropical isles that between them shelter a fabled “square kilometer” of coral. 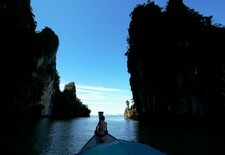 Ko Muk: This is a good place for long shallow dives and a great place for snorkelling. The multi-colored coral is famous and a great variety of marine life keeps delivering surprises round every corner. Don’t’ miss the Emerald Cave! A 60 meter long tunnel runs through a sheer mountain which leads into a fantastic lagoon. Ko Muk is often visited as part of a ‘four-island’ snorkeling daytrip. See our Ko Lanta Boat Tours page for more info.